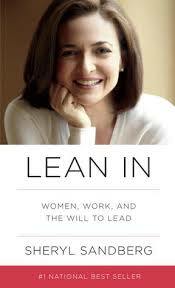 I recently read the much-hyped Lean In: Women, Work And The Will To Lead by Facebook COO Sheryl Sandberg. I was resistant to reading it in part due to the obvious that I am a stay-at-home mom with no aspirations to join the corporate rat race and secondly, I didn’t want to squander my precious free time reading a book that was going to make me feel bad about myself for not wanting to join said race. So naturally I was surprised when I read Sandberg’s well-researched tome that some of her points resonated with me – a stay-at-home mom. Make Your Partner a Real Partner and The Myth of Doing It All are two chapters worth reading, regardless of your employment status. Sandberg raises a topic that has weighed heavily on my mind since having my first child almost seven years ago. Sandberg describes how (mostly) women crave this idea of perfection and assume all of the responsibilities of childrearing because “they know best”. Eventually these mothers become exhausted, irritable, unhappy, and depressed because every waking moment is spent on trying to do everything themselves. I have seen this time and again with many women that I have gotten to know over the years. When my boys were 4, 3 and a newborn, I had made plans to go for dinner with friend. She had two children ages 4 and 7 months. She had not ever been separated from her children for more than 2 hours and was sleeping a maximum of four hours a night. She was at the end of her rope. She called me in tears and we decided that a dinner out was exactly what we both needed. I informed my husband that I had a dinner date. I plopped the older two in front of the TV and the baby in the exersaucer, showered, got made-up and put on an outfit that didn’t need to be puke-resistant. My husband walked-in and I was prepared to walk out when the phone rang. An hour before we were to meet, my dejected friend called to say that she was not going to make our dinner. I was sad to hear this and when I pressed for the reason she said that her husband was not comfortable “babysitting” the two kids by himself and he doesn’t know the bedtime routine. She felt it was best if she stayed with him so that the kids schedule wasn’t messed up. Like Sandberg, I feel like sometimes women are their own worst enemy. Women need to be able to let go of the reins and allow someone else to do take over. Is it a big deal that dinnertime doesn’t follow the same structure as when you are there? Will millions of bacteria eat away your child’s skin if they skip a bath for one night? Does it really matter if the dishes are left to air dry just this once? Well Martyr Mothers, I would like to echo Sandberg’s sentiments . . . THERE IS NO SHINY TROPHY WITH YOUR NAME ON IT BECAUSE YOU SACRFICED EVERY OUNCE OF YOUR BEING! Your baby will stop crying. He will figure out how to change a diaper. He may feel overwhelmed but he’s got this. If you feel that everything has to be done by you, take a step back and examine why you feel that way. Are you being too controlling? Sandberg doesn’t suggest that you walk away from your responsibilities but rather that by acquiescing a desire for perfection comes a release, and an awareness of what really matters to you. Perhaps I am not navigating the corporate jungle gym, but contrary my thoughts prior to reading Sandberg’s book, I am a leader. I am leading my family and a good leader surrounds themselves with a supportive and dependable team. What do you think? Do you think that Martyr Mothers are becoming more prevalent? Are you a Martyr Mother? A reformed Martyr Mother? More importantly, doesn’t it drive you mad when people refer to fathers as babysitters? It’s demeaning, no? A reformed Martyr Mother here. I wouldn’t go anywhere without my children. I work full time so I cherish my time with the kids whenever I’m home and I feel utterly guilty if I leave them to go out for coffee, movie, etc. I never went out, at all. I think that we all have it in us to be Martyr Mothers – it is recognizing what we need and being okay with it. I just can’t give 110% of myself to my family all of the time. Some may think it’s selfish but I don’t like who I am when I am not happy. Thanks for your reply – and being so candid! it was hard not to comment, it was like reading a story of myself. Why do we try to spare fathers from feeling overwhelmed? I’ve felt overwhelmed plenty! But I’m totally guilty of “saving him” from this, I guess I am a martyr mom! Anyway, great post. I am in the middle of reading this book (rather, listening to this audiobook) and its great food for thought. I am getting hooked on audiobooks! I listen to them on the walk back from the school after dropping off the kids. I just finished Barbara Walters, Audition. I didn’t think that I liked Barbara Walters – but she had incredible life experiences! So true and SUCH a great reminder! I’m lucky in that my husband has never once referred to parenting as “babysitting” – but I like to think I encouraged this. From the time the kids were born, whenever he’d ask me what the kids should wear/eat/do or whatever, I’d respond with something like “whatever you think!” and turn it back on him to decide. Now he’s as confident with our twins as I am, and I never worry a second when he’s in charge. It’s honestly the best gift you can give yourself as a mom – a few hours away, and the knowledge that dad is going to do just fine. I have to remind myself that there is no trophy for doing it all myself though. That includes the housework. I think that it’s important to let fathers and caregivers (grandparents, nannies, etc.) know that they are trusted enough to make decisions for the well-being of the children. Obviously the extent of those decisions is dependent, but you’re absolutely right – giving someone the power to decide boosts their confidence too (if they need a confidence boost). Whenever I get a bit too controlling, my husband will remind me that there is more than one way to do things. PS – I mourned the morning nap too! Well said! Whether your home all day with your kids or juggling work with parenting, it’s so important that you maintain your identity as a woman and individual. You also bring up the very good point how undermining our partners’ confidence may lead to the destruction of the relationship. I completely agree – it’s a trust thing. Well said! And I think there’s also the issue of guilt if something does go wrong. Not that as a species we women need to have any real reason to feel guilt but I think there are times when we brave out and occasionally do this. And if something does go wrong, which it’s bound to occasionally, I’ve seen women blaming themselves for it and then shutting down the whole prospect of giving up martyrdom. I think of it like getting in a relationship. There’s a ton of similarities in the process. You just have to let things go wrong and be fine with it over time than trying to make it so perfect that life almost seems like it’s in a bubble … until one day everything just explodes because of all the repression. Somebody needs to write a book on a routine for moms to pamper themselves and brand it something! Just like we have weight watchers and south beach – someone needs to go and create ‘pamper mommy’ programs and market them. That’s one marketing campaign I’ll not boo or call over done I think! It drives me CRAZY when dads being home with their kids is babysitting. I would never say that to my husband. I’ve been wanting to read this book because as someone who is navigating the corporate jungle as a late twenties working mom I feel like there are no good female role models for me to learn from. I have two young(er) women who report to me, my first direct reports in my career, and I really want to be able to set a good example for them. Definitely read the book – even if you get it on audio and listen to it while commuting. I am right in the middle of reading Lean In, and I too am finding it more relatable than I’d anticipated. It’s also very timely, in a few months my 12 month contract will be over and I’ll be jobless. 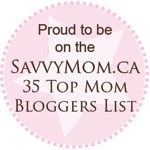 The photos on your blog are beautiful! You are never really jobless when you’re a mom 🙂 Hang in there. Transitions are tough but judging by your posts you have a supporters rooting for you! Best of luck!